I graduated in 2002 from York University. I majored in Psychology, with a focus on animal behaviour and evolutionary psychology. I have worked in veterinary clinics for 21 years in different roles and have many years of experience in customer service. I have always loved animals, especially cats, and always visualized myself working with animals, as well as in a clerical and customer service position. This made being a client care representative in an animal hospital, the perfect job for me! 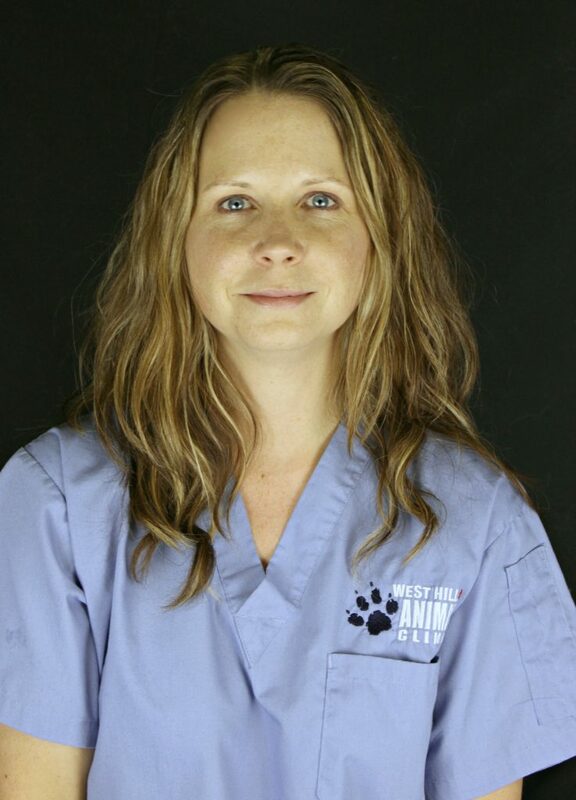 I have been working at West Hill Animal Clinic since 2007. My favourite thing about the clinic is the wonderful people I work with. My first pets were three cats, Shadow, Sylvie, and Boo. I love helping clients help their pets, and also helping our clients have a positive experience when they come into the clinic, whether it be the first time they come in with a puppy or a kitten, or when it is time to say goodbye. Fun fact about me is I share my life with my wonderful husband and my two beautiful little girls. I love gardening, crafts and reading. I am allergic to dogs and cats.